Dutch-designed with a revolutionary purpose, the Nuna Sena Travel Crib puts a fresh spin on pack and plays. With a compact and sleek design, it also features easy assembly and one-handed take down. In addition, the toxic-free materials used in the Sena is an appealing aspect to many parents and their children’s health. This makes the Nuna Sena Travel crib a top competitor in the pack and play category. The Nuna Sena Travel Crib is the sports car of pack and plays with a sleek, safe, and easy design. Dutch-designed with a revolutionary purpose, the Nuna Sena Travel Crib puts a fresh spin on pack and plays. Safety is a priority and is evident in many of the Sena’s features. A top safety feature, besides the completely solid build and design, is the Oeko-Tex certified fabrics used by Nuna. This means that all fabrics used are free of chemicals and other hazardous materials that could be harmful to children, and humans in general. In addition, Nuna recently removed a flame retardant that was used in their fabrics (and many other baby products) that is known to be hazardous to health. This goes to show that Nuna is willing to go above and beyond the basic safety standards to provide the safest products for their customers. Also included in the design of the Nuna Sena Travel Crib are skid-proof feet that keep it from sliding across the floor during crazy sleep or play. Also, padding on every surface helps prevent finger pinches for both babies and parents alike. And we all know that parents are sometimes more at risk for finger pinches when fiddling with pack and plays! Either way, the extra protection is a great feature. When it comes down to materials, build, and design, the Nuna Sena is one of the safest travel cribs on the market. 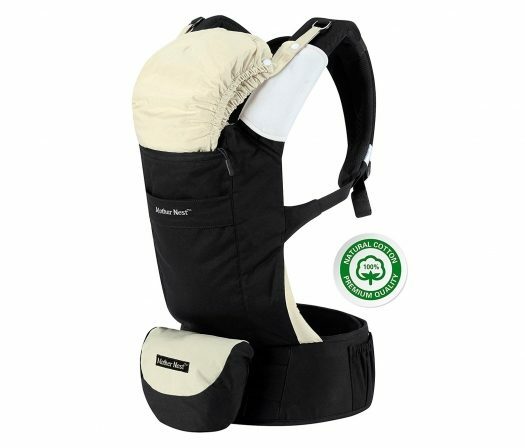 Comfort is pretty standard compared to most other pack and plays on the market. There are a few extra features that set the Nuna Sena Travel Crib above the rest, though. It comes with a soft, quilted mattress that is plush but firm. You can buy optional organic sheets that are made for the Sena, although other pack and play sheets are most likely to fit this mattress as it’s a pretty standard size. It comes with a soft, quilted mattress that is plush but firm. 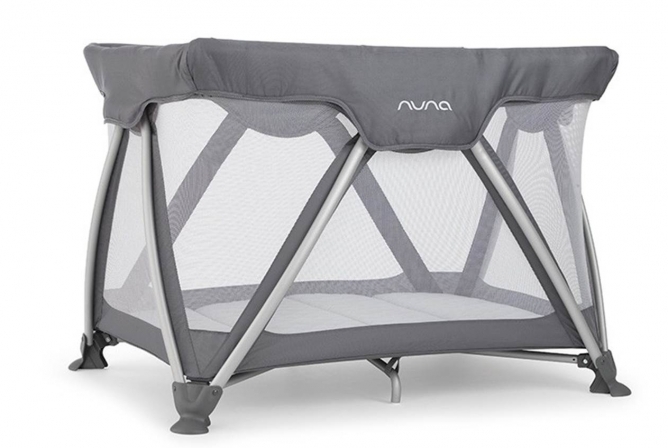 An above-ground base keeps your baby comfortable with the Nuna Sena Travel Crib. 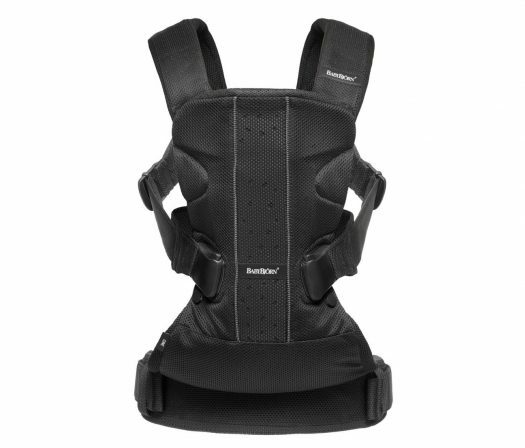 The base sits off the floor which keeps your little one at a safe and comfortable temperature. No cold floors, and good ventilation for hot climates. Another great feature for good ventilation and great views for baby are the mesh sides on all four walls. This allows them to stay at a comfortable temperature, while also being able to view the action around them. 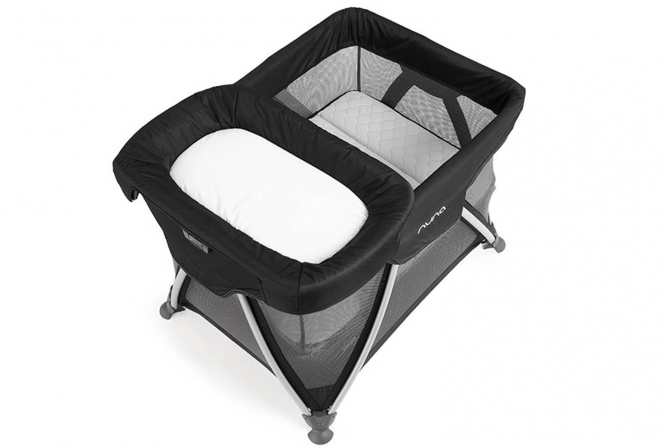 A bassinet is also included with the Nuna Sena Travel Crib. This helps baby stay elevated and closer to his or her favorite people. An awesome feature with the bassinet is that the crib mattress is the same mattress used for the bassinet. This means you only have one mattress to worry about and less to lug around! For many parents, it’s hard to find an easy to use pack and play. 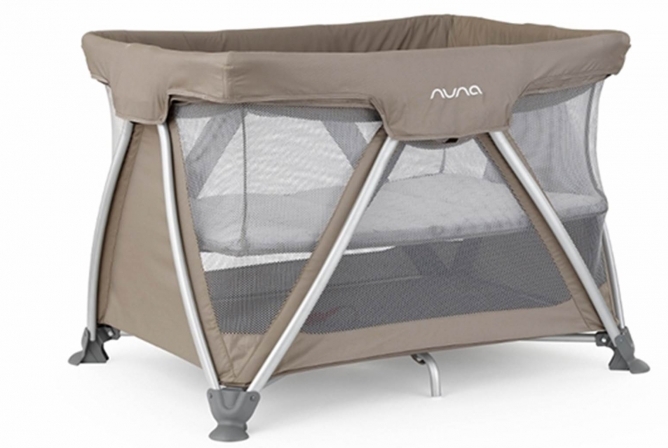 The Nuna Sena Travel Crib has changed that for many with its certified frustration free assembly and disassembly. With only a few steps to assemble, and a one-step take down, the Sena is top-of-the-line for easy use pack and plays. The Nuna Sena Travel Crib boasts a compact size. When assembled, dimensions are 41.3 inches x 29.5 inches x 30.7 inches (LxWxH). Compact size is great for small spaces, but could also limit how long the Sena can be used with a growing baby. The travel bag has a nice big strap that allows you to swing the bag over your shoulder for easier carrying. Folded dimensions are pretty standard for other folded pack and plays. However, when packed away, one parent stated that the Nuna Sena Travel Crib was too big to stow away in an overhead bin on an airplane, requiring them to check it as an extra bag. Just keep this in mind if you plan to jet set frequently with this piece of gear. 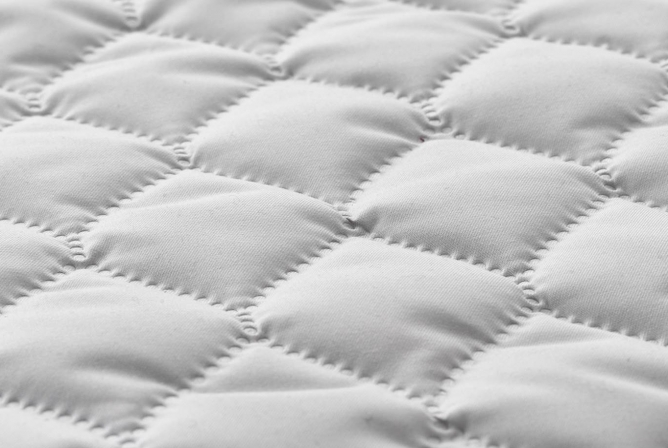 When folded, the crib mattress wraps around the crib and the whole unit easily slides into the included travel bag. 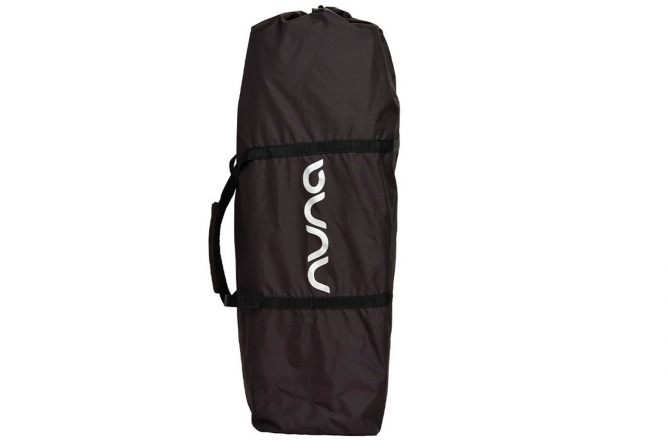 The travel bag has a nice big strap that allows you to swing the bag over your shoulder for easier carrying. The weight is a little heavier than other pack and plays, but that’s to be expected when buying a travel crib with high-quality design. 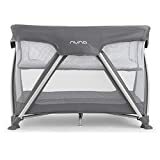 Weighing in at around 25 pounds, the Nuna Senna Travel Crib isn’t the heaviest on the market, but it still is quite a piece of gear to lug around. This might make it harder for parents who travel frequently. Many pack and plays are known for difficult and frustrating setup. This isn’t the case with the Nuna Sena Travel Crib. It can be set up in just a few steps and taken down by just one easy pull of a strap. Nuna claims that it’s “certified frustration-free” and they are dead on with this statement. To set up, all you need is to unpack the crib, pull the frame of the crib outward, and push down on the center hub of the crib. This is one of the only pack and plays on the market that is able to be folded with the included bassinet intact. It can be set up in just a few steps and taken down by just one easy pull of a strap. Another great aspect that involves the bassinet is that the crib mattress also doubles as the bassinet mattress. As any parent knows, any baby gear that’s multipurpose equals less clutter and is easier to transport. This saves space and time, something that is priceless with baby gear. The bassinet assembly and disassembly is really easy as it connects to secure snaps on each side of the crib. A diaper changing accessory is also available, transforming the Nuna Sena Travel crib into a fully functioning nursery. The only thing that could make assembly less than a breeze is the insertion of rods into small slits on the bottom side of the mattress. These rods add support for the mattress but are tedious to insert, so this could be the only annoying aspect of setup and take down. Longevity for the Nuna Sena Travel Crib is standard compared to every other pack and play on the market. Nuna states on their website that recommended use is birth to 3 years. But with a little further digging, the user manual states to discontinue use of this product when your little one is able to climb out, reaches the height of 35 inches, or weighs more than 30 pounds. Most kids reach 30 pounds by the age of two (unless you have a petite little munchkin on your hands) so use for this pack and play is really only until the age of two if you follow these safety standards. Nuna states on their website that recommended use is birth to 3 years. In addition, the dimensions of the Nuna Sena Travel Crib are a little small, so some kids might even grow out of the Sena before they are two. The compact size is great for small spaces but also makes it easier for kids to grow out of quickly. The price for the Nuna Sena Travel Crib is on the high end for pack and plays, but you get your money in features, convenience, and safety. With the high price comes one of the easiest pack and plays to assemble and disassemble, non-toxic materials, a hot design, and multi-use accessories. This is a sports car of baby pack and plays. A one year warranty is a nice little bonus that comes with the Nuna Sena Travel Crib. So always make sure you keep your receipt and follow warranty guidelines in case something pops up that could be covered under the warranty. The bassinet folds up easily with the crib. The Nuna Sena Travel Crib has a compact and sleek design that is very easy to use. However, despite its smaller size, it still weighs in on the heavy side. This might make it a little more difficult for transporting if you’re a frequent traveler. But, the easy assembly and one-handed take down make it a top competitor for easy to use pack and plays. This is a top feature that many parents find important, and one that is worth the investment. The price is on the high side for pack and plays, but parents that have bought the Nuna Sena Travel Crib say that the price is worth it for the easy use and safe features. The toxic-free materials used in the Sena is an appealing aspect to many parents and their children’s health. Ultimately, despite the smaller size, heaviness, and high price tag, there are many positive features that come with the Nuna Sena Travel Crib. With this buy, you are getting some of the most important features in a pack and play that you can find on the market. Jordan is a wife and mama of two under two. She lives in the mountains and is a below average skier, but also enjoys building blanket forts and is a high-end Lego home designer. Her life is a messy beautiful chaos. Just click on her name, to check out all her BabyGearSpot posts!